by Youth Ocean Advocate Ramona T.
There are some experiences you know you will never forget in life. At 16 years old, I already have a few. Night kayaking among bioluminescent plankton, swimming alongside wild dolphins and mantas, watching humpbacks and orcas from only yards away, these are some of those moments for me. I want future generations to be able to experience similar things, so I am asking you now to take a moment to focus on conservation. Growing up only a stone’s throw away from the Duwamish River, I learned at a young age the hardships it still faces today from being polluted. Years ago, I told myself I would help make that river healthier. Since them, I have participated in multiple cleanups, volunteered at the river festivals, and when I was young, I even wrote a poem about the Duwamish that I presented in front of my school to raise awareness. This was my first introduction to conservation. Since then, both my passion to explore the world’s waters and my passion to conserve them have deepened. Since moving from California when I was two, I have been lucky enough to grow up on the biodiverse Puget Sound. Visiting beaches around Seattle and Lopez Island, I familiarized myself with the tidal pool life. I have also been fortunate enough to go on trips to visit family on the Big Island of Hawaii almost every year. Upon returning from my last trip, I gave a presentation to my class on the insidious effects of the Hawaiian tourism industry on marine life. My neighborhood’s diverse backgrounds and cultures have given me insight on all kinds of lives, all very different from my own. I have come to find though that my neighbors and I all have one thing in common, we suffer from environmental injustice. In fact, one article states that people who live near the industrial and polluted Duwamish River live up to eight years less than the average Seattle citizen. I want to change this. I hope you do too. 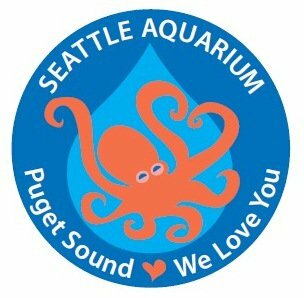 Last summer, I began the high school volunteer at the Seattle Aquarium. I have learned and am still learning so much through this program. While I now know facts like how many suckers an octopus has on each of its arms, (the answer is around 200) I also know something that I find even more important: I now know how to share conservation skills. A few months ago, I had an interaction with an aquarium guest that stuck with me. I met a young girl asking me about the different kind of birds we have at the aquarium. I chatted with her family for a moment, and learned they were from Colorado. At this point I told her she didn’t have to be on the water to make a difference in our marine environments, and something as simple as shutting off the water when you’re brushing your teeth can make a large contribution when you do it everyday. The little girl brightened at the news that even she could make a difference and hurried off, dragging her family to the next exhibit. When you think of conservation, it can be easy to get lost on the big, scary ideas. When I do conservation work, I always first reflect on myself. Do I try to ride my bike or take public transportation? Do I try to conserve my water usage? After asking myself theses question, I always find a place to start. While it may not seem like much, keep repeating these actions, persuade others to make these actions, and eventually, you will make an impact.